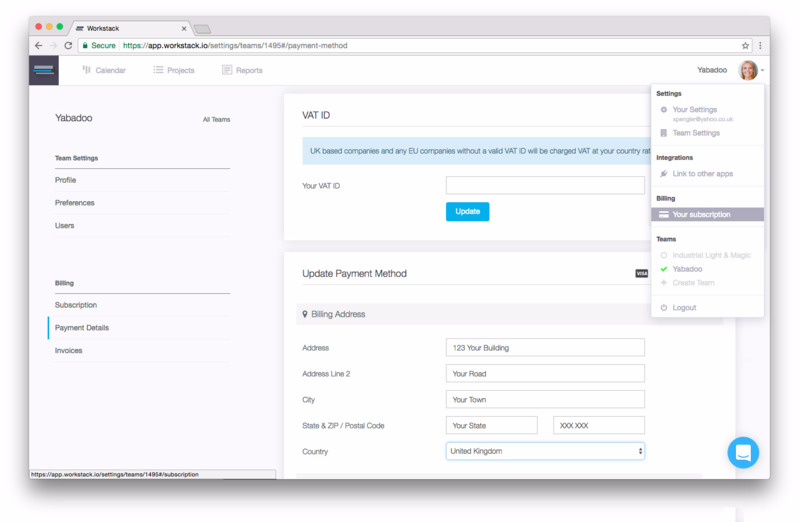 You can pay for your Workstack subscription with any credit or debit card. When your trial period expires you will be asked to sign up for a subscription the next time you try and login. At this point we will ask you for your card details. Once setup you can easily change your card details at any point from the Billing section accessible from the admin dropdown menu. Note: Only account Owners have access to the Billing section of an account.